Francis A. Bunnell & Co.
Dwight Hawley Buell / D.H. Buell & Co.
Buell was in the partnership of T. Steele & Co. with Thomas H. Steele 1858-1866. 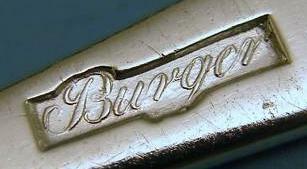 Worked as D.H. Buell & Co. 1866-1875 with Charles J. Wood as his partner. 1813-1814 and later Burdick & Burritt 1816-1819. 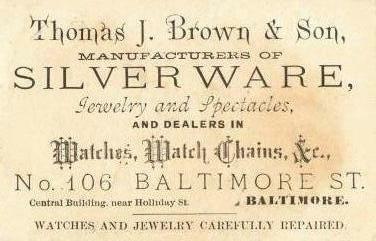 Brown's death in 1872, his business was renamed T.W. Brown & Sons. in 1799 and Brown & Seal 1810-1813. Worked under the name of Thomas J. Brown & Son 1872-1884. 1792 with the occupation of tinker.